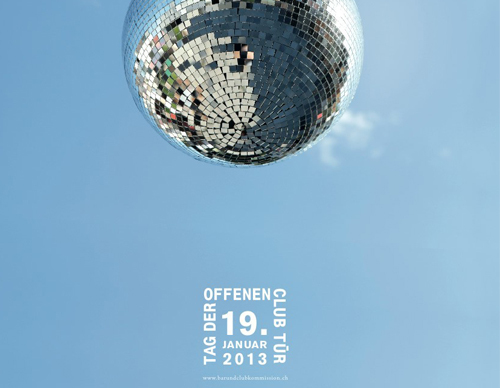 Zurich’s club scene is known widely and myfriendfromzurich knows: it is great! Today, you have the opportunity to learn more about it’s uniqueness and take a look behind the scenes: taking place for the first time ever, the Tag der offenen Club Tür contains sightseeing, presentations and discussions about Zurichs most important part of night life: the clubs. The following clubs are opened to the public this afternoon: Zukunft, Exil, Plaza, Härterei, Hive, Mascotte, Kinski, Frieda’s Büxe, X-tra. The evening programm including panel discussions and drinks will be held at Plaza. And after you’ve seen all the clubs in daylight, it might be interesting to experience them at night. Check out their websites for tonights line-ups!